The Hyundai Motor Company was founded in the year 1967 and is a multinational automobile manufacturer based in South Korea. One of the company’s bold hatchbacks, the Hyundai i20 Magna Petrol has a 1.2L Kappa engine delivering 81bhp at 6000rpm. The dual-tone beige and black interiors look good and so does the neatly laid out dashboard. The exterior design is really eye catching with a hexagonal grill in front, the sweptback head-lamps and the sleek fog-lamps on the bumper. With an average fuel efficiency of 18.6kmpl the i20 Magna is quite a pricey package. Want to get batteries for this bold hatch? At everyonechoice.com we offer high quality batteries at decent rates. 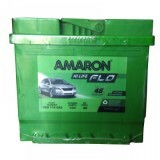 The 45Ah battery required is available from various brands like Exide and Amaron. The companies also offer a warranty period of 48 months. You can either order via phone or SMS, the contact details being available on our website. 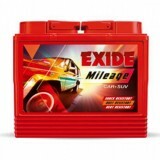 Buy Hyundai Car Batteries online on http://www.everyonechoice.com/and get it delivered and installed free of cost. Do check the Hyundai Car Battery Price in Delhi, India on our website.